Titanfall, the debut game from Respawn Entertainment, is a multiplayer-focused shooter for the Xbox and PC that makes "extensive" use of the cloud. 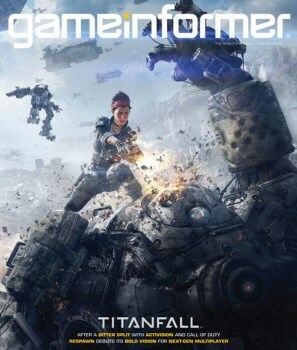 Revealed by a Game Informer leak on Google Play, Titanfall will be the first game to come out of Respawn Entertainment, the studio founded by Infinity Ward top men Jason West and Vince Zampella following their acrimonious split from Activision. The article about the game has since been pulled but according to NeoGAF user Cartman86, Titanfall will be exclusive to the Xbox One, Xbox 360 and PC, and will rely heavily on the cloud for physics and AI calculations and dedicated servers. There will be a single-player mode of some sort but the focus is on multiplayer, with both campaign and "traditional" multiplayer modes on offer, and there will be robots! Big ones, too: "hulking 24-foot tall mechs," according to the post. The team apparently decided to stick with just the Xbox One and PC - another studio is handling the 360 version - because developing for the PS4 at the same time would put too much strain on the studio's limited resources. The article also states that while the new Xbox actually has less RAM than the PS4, "it potentially makes up for [that] in cloud computing," and that it would in fact be impossible to do what the team is attempting without the power of the cloud. Titanfall is being built on a modified Source engine and aims to capture a District 9/Blade Runner "vibe," with a Left 4 Dead style of storytelling. In response to the leak, publisher Electronic Arts tweeted that "there's a lot more of Titanfall to be revealed," and said the game will be properly unveiled to the world during the company's E3 press conference, which will take place at 1 pm PDT on June 10.